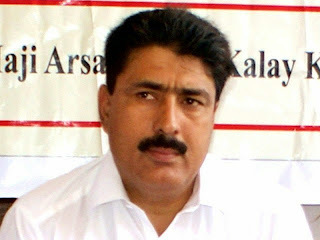 Dr. Shakil Afridi helped the CIA locate Osama Bin Laden. 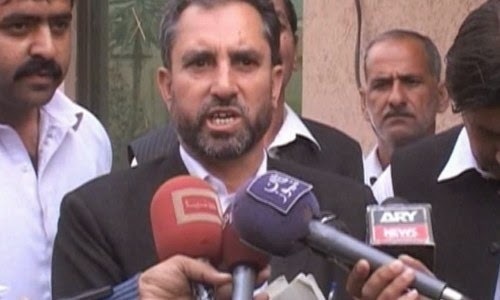 Samiullah Afridi (no relation), the Pakistani lawyer who defended him in court, received numerous death threats for defending a man who helped the U.S. government kill the world's most wanted terrorist. The lawyer has now been murdered, and the doctor is still being tortured in prison. Dr. Afridi says he feels like the United States government used him "like a Kleenex." Good luck getting help with the next terrorist. Islamabad—A few days ago I spoke to the Pakistani attorney Samiullah Afridi over the phone, and he was worried. He had defended in court Dr. Shakil Afridi, the physician widely alleged to have fingered Osama bin Laden for the American hit team that killed the terrorist mastermind in 2011, and he felt ever more exposed as a target for Osama’s admirers. Late last year, Samiullah Afridi (no relation to his client) quit the case reluctantly under a barrage of death threats targeting him and his family. On Tuesday he was shot dead as he returned to his home in Peshawar. A Taliban splinter group, Jundullah, claimed responsibility. “It was not an easy decision to defend Dr. Shakil Afridi in the court,” Samiullah had told me when we had talked on the phone. “I knew the consequences from day one and don’t mind it,” he claimed. But he soon spoke about the many troubles he’d encountered, and the many threats that he and his family had received not only from al Qaeda and the Taliban but, he believed, from the Pakistan’s intelligence agencies as well. I wonder what a weak Muslim’s Allah who couldn’t protect Osama Bin Laden, believe to be servant of Muhammad’s Allah, from hands of America. America picked up Osama from mouth of Pakistan Army and buried him at the bottom of Arabian Sea where no Muslim can go and raised his body. But still fanatic, stupid, idiot, madrassa educated Muslims believe Muhammad’s allah and kill professional people for doing his job by the name of Muhammad’s allah. What a disgraceful for a religion supposed to be for the people. There is no scope for saying good or bad Muslims in Pakistan. We know that all Muslims in Pakistan educated, rich, and poor will support the killing by remaining silent. No Mullahs will give any fatwas (decree) against this killer and bring him to justice. It is not something new, happening on and off. This is sign of devil who block eyes of god’s people to identify good from evil and protect themselves from evil. There is no doubt Muslims are worshiping idol god by the name of True God of Ibrahim. It is like adultery in mixing impurities in pure gold and used as pure gold. All Muslims will be burnt in hell fire unless they believe Jesus as Son of God and believe His Resurrection. He died for us and no one has to kill others to protect His name, rather He killed devil by CROSS to protect us and NOW we are free. Please note that I do not hate Muslim as a people, I love them as children of God. Because God created all human being with His own image. Who am I to judge them? God will judge each and every one according to our deed. I have Muslim friends, faith is our point of difference that does not bother our relationship. This is a very sad story. Hope Dr. Afridi is freed soon and may the lawyer rest in the peace of Christ. Can anyone tell me why pakistan produces some of the most vile muslims? Why wasn't both the doctor and his family immediately airlifted out of Pakistan by the Americans and given asylum? Or at least defended in court by an international lawyer paid for by the American government? It seems to me that America and the world owe a debt to these men that they have refused to pay. History will also not forget injustices like this. I will be praying for this man's family and for the release of the doctor in jail. Do these events and these men's suffering also have nothing to do with Islam? What to you and me is vile, but to Pakistan and to Muslims it is virtue, they are hero, saints of Islam. We know, Islam’s core value is to fight for Allah and Muhammad, “Jihad” with swords, not by word or pen. Allah loves, as David Wood explained before, those Muslims who die killing non-Muslims for Allah and his prophet. That is why they are not terrorists but hero when they kill Christians and destroy Churches to make the path clean for Muhammad and his Allah. It is opposite to our Christian value. Pakistan is home of Allah’s people like America is home for the brave. FYI, Pakistan got independent from Britain in 1947 based on Islamic value, not for democracy. What could we expect from a country who was born to protect Allah and his prophet Muhammad sixty years after indpendent? Pakistanis were described by a Swiss banker as 'poor people who live in a rich country' and Nojmul is absolutely spot on in saying that the nation was formed for the primary purpose of protecting their right to practice Islam. "The Musalmans are only a fifth in number as compared with the total population of the country, and it is manifest that if at any remote period the British government ceases to exist in India, then the rule of India would pass into the hands of that community which is nearly four times as large as ourselves ... our life, our property, our honour, and our faith will all be in great danger, when even now that a powerful British administration is protecting its subjects, we the Musalmans have to face most serious difficulties in safe-guarding our interests from the grasping hands of our neighbors." This is the nation's foundation and raison d'etre. This may help to explain things further.